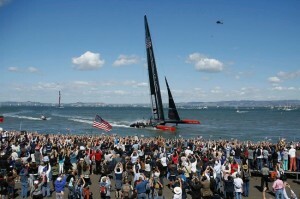 Oracle wins the 34th America’s Cup. Well done Oracle. Brilliant team and technology. The Kiwi team did everything right in this morning's race – they won the start and held a narrow lead at the bottom mark, but they simply could not match the pace of USA-17 upwind….and that was largely the difference between the two – outside of errors, of which Oracle committed during the crucial races. Oracle proved it has speed downwind that Team New Zealand couldn’t match, by as much as 1-1.5 knots. In some ways the game was so even, sport pure and simple. But Oracle had the cards to push ahead at every crucial moment. 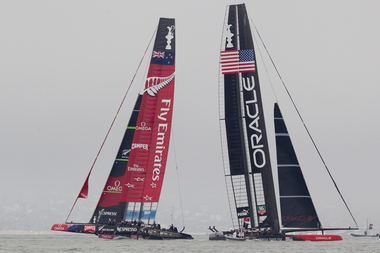 And a few excellent Kiwis were sailing the Oracle team. Where did the core and essential difference lie? Was it the technology, the design, the detail tweaking, the boat set-up and prep, the training, the teams’ resilience, the attention to perfection, the weather, the knowledge of the waters, strategic thinking, experience, aggression…? Probably some of each. Was it the precision of their weather forecasting and data management, or data interpretation? Ensuring their boat is optimised to the right conditions? At the speeds these boats travel, close to 50mph, that is almost 80kph, in flight, every race move and action needs to be at peak without error or falter. One mistake kills the chance. We may eventually learn what it was that enabled Oracle to so quickly improve its competition performance. Some suggest that from their first defeat work hardly stopped on reforming the hull and other equipment. Certainly Larry Ellison's pocketbook made that possible – and the New Zealanders just didn't have those resources. Image to the left – the winning moment for Oracle. Team leadership and presence: Oracle's Jimmy Spithill's "we stare down the barrel and smile back" approach appears to have been much more effective. After their win he said, “The guys were facing the barrel of gun and they didn’t flinch”. Metaphors maybe but these words are instructive. Team New Zealand were more ‘laid-back'(?) with their “it’s just another race” approach – although you can bet they were all strung out like never before. 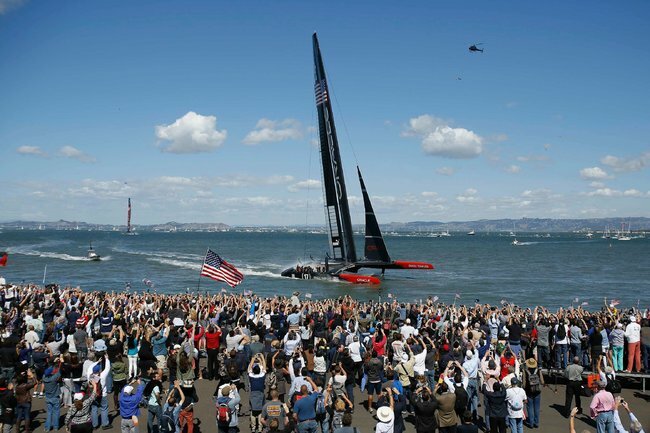 This was a tremendous performance from both teams, both boats…Oracle, the big O, had that bit extra that counted…and to win 8 races straight shows a strength over Team NZ that presents many lessons. This is competition via technology, talent and spirit at peak and not at all for the faint-hearted. Congratulations to both teams. Extra congratulations to Oracle Team US. 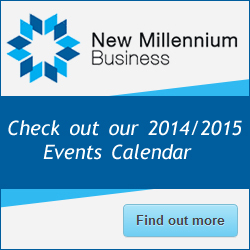 The next iteration of this contest will be fascinating…if anyone still has money in the bank. There was little doubt that Team NZ could ever match the financial clout of Oracle and this was telling in a number of ways during the competition phases as last minute changes and new talent were employed to give and ensure Oracle’s edge. Technical adjustments by Oracle helped change the game. Forbes suggests that Larry E spent a good $300 million on this program. It's in his blood and competitive DNA. For Larry Ellison and Oracle, this is terrific platform for demonstrating just how good their technology is…tremendous for the brand and perceptions of Oracle which will run high.